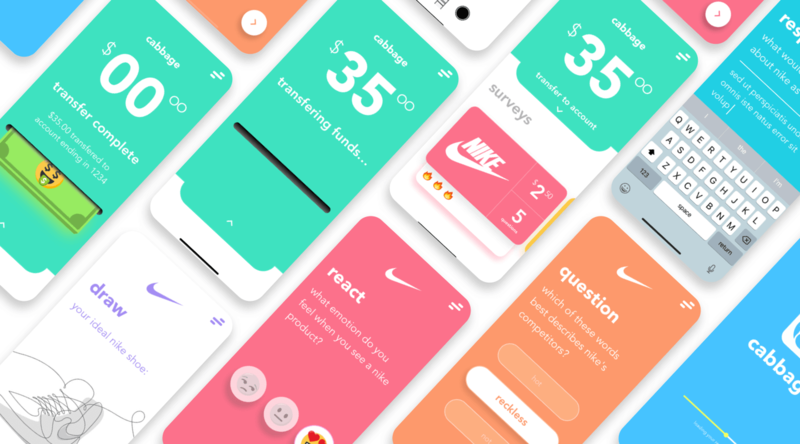 Cabbage is a Gen-Z consumer research app, helping big brands and agencies connect with and understand the Gen-Z demographic, while creating a fun way to earn cash and prizes for Gen-Z. 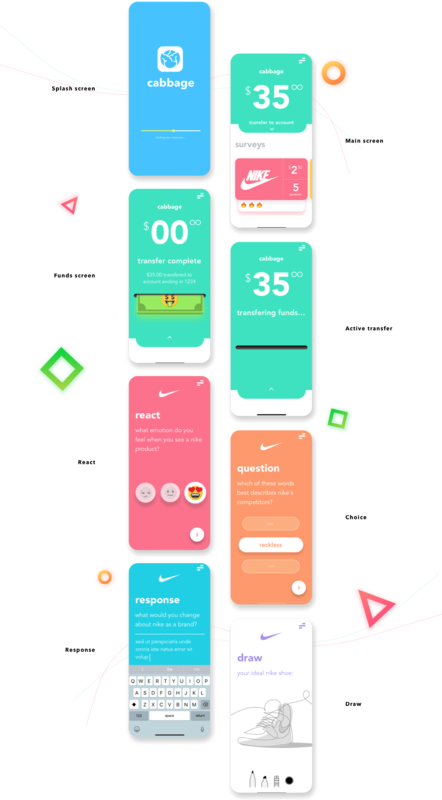 Cabbage came to us looking for help developing a fun and engaging brand and app experience/design that resonates with their target market: Gen-Z. We conducted research, ran strategy sessions and design sprints all focused on defining the product, its goals, and what was needed for it to be successful. We then created the user experience and user interface design for the app. We handed off the designs to the Cabbage team, and they are currently in the process of building it.